Taylor Hill/WireImage for Governors Ball Music FestivalOutkast is continuing their comeback with a stop in their home state of Georgia. According to Billboard, Big Boi and Andre 3000 will take the stage at Atlanta’s Centennial Olympic Park on Sept. 27. They’ll be joined by other, as- yet-unannounced performers, who’ll be selected by the duo. “It’s only right that we give the hometown what we’ve been giving the rest of the world: Atliens in ATL, homecoming! Festival Killers,” Big Boi said in a statement. “Coming from Atlanta gave us the freedom to be whatever we ever wanted to be, because no one was paying attention. Now that everyone is, we want to say thank you,” André 3000 chimed in. Tickets for the concert go on sale June 18 at 10 a.m. ET via Ticketmaster. Fans can also get the latest details on the concert at www.outkastatlast.com. 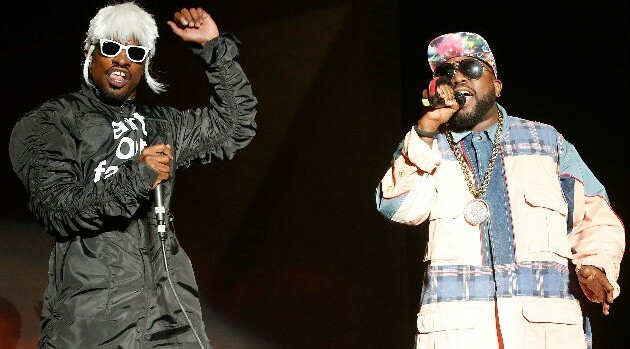 Outkast’s Atlanta concert is just the latest in a string of performances marking the group’s 20th anniversary. They are scheduled to perform about 40 times throughout the summer, at festivals such as Lollapalooza, Summerfest 2014 and the second annual BET Experience.